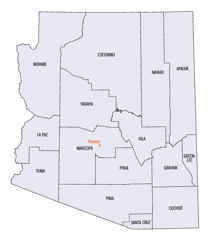 Yuma County is a county located in the southwestern corner of the state of Arizona. Based on the 2010 census, its population was 195,751. Yuma county was created in 1864. The county seat is Yuma. The county is named after the Yuma Indians, now called the Quechan people. Yuma County comprises the Yuma, AZ Metropolitan Statistical Area. 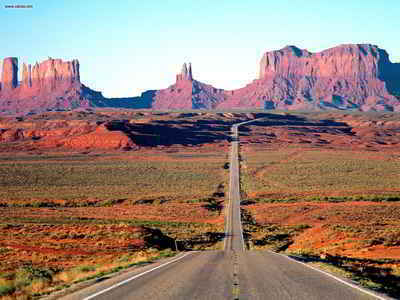 Yuma is named after the Yuma Indians, today called the Quechan. 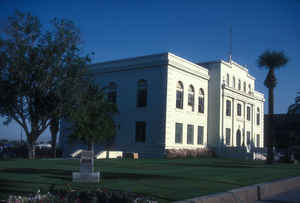 Yuma County is one of four original counties selected by the first Territorial Legislature. The county maintained its original boundaries until 1983 when voters decided to divide Yuma County into LaPaz County in the north and a new "Yuma County" in the south. This county is created out of the southwestern portion of the Territory, and is surrounded on the west by the Colorado River. The valley of the Colorado is from two to ten miles in width; the soil is rich alluvial, and is generally covered with a dense growth of vegetation, and is well wooded with Mesquite and Cottonwood trees. Very little attempt has been made to cultivate these lands, except by the Indians. They in a rude way produce some vegetables, corn and wheat. The soil and climate are unquestionably well adapted to the production of cotton, rice and sugar cane, as well as the cereals, and nearly all kinds of vegetables. Experiments made in planting figs, lemons and oranges encourage the belief that these fruits can be raised in abundance. The only obstacle in the way of extensive and profitable agriculture in the valley of this river is the frequent changes of its channel. Its waters can undoubtedly be controlled by levees and canals, and it would be policy for the government to make liberal grants of land to accomplish this object. The water once under control and this would be an inviting field for investment and enterprise. The Gila River runs about 150 miles in a westerly course through this county; its valley is from one to three miles in width; the soil is rich and covered with vegetation, and by irrigation will produce almost anything that grows; it is uninhabited, except by station keepers along the overland mail road. These stations are usually located about fifteen miles apart. The balance of this county is mostly high table lands, with frequent broken mountains, and is generally destitute of water; portions of the year these lauds are covered with excellent grass, but until water is increased by sinking wells, the larger portion of this belt of country will be of little value. You can find gold, silver, copper and lead, are found in lodes near the Colorado river, the entire length of the county; also placer gold in considerable sums has been extracted. No effort has been made to conduct water to these mines; the gold has generally been obtained by what is called the dry washing process. To pay by this process, the mines must necessarily be very rich, but if water could be obtained, they 'would undoubtedly pay well, even when once worked by the other process. As reported by the Census Bureau, the county has a total area of 5,519 square miles (14,290 km2), of which 5,514 square miles (14,280 km2) is land and 5.1 square miles (13 km2) (0.09%) is water. The lowest point in the state of Arizona is located on the Colorado River in San Luis in Yuma County, where it flows out of Arizona and into Sonora in Mexico. Because of its location along the US-Mexico border, large numbers of illegal aliens entering the United States illegally pass through Yuma county. From October to July 2005, some 124,400 illegal foreign nationals were apprehended in the area, a 46% increase on the previous year (Economist, August 27, 2005). Yuma County is in the west, and northwestern regions of the north-south Sonoran Desert that extends through Sonora state Mexico to the border of northern Sinaloa state. West of the county across the Colorado River in southeast California is the Colorado Desert, (a northwestern subregion of the Sonoran Desert). North of the county, with La Paz County the regions merge into the southeastern Mojave Desert. Southwest of Yuma County, is the entirety of Northwest Mexico, at the north shoreline of the Gulf of California, and the outlet of the Colorado River into the Colorado River Delta region, now altered with lack of freshwater inputs. Notable mountains in Yuma County include the Gila Mountains and the Tule Mountains.